Curator of Quaint Notions, Curious Historical Notes, and Swell Vintage Postcards. Tales of simple living and intriguing stories of yesteryear await you. . .
Never Miss a Post. . .Subscribe! If You've Stumbled Upon My Blog, You're Probably an Eccentric Like Me. . . I'm a Maine native who moved to Arizona, fell in love with it, and then moved back again to Maine (at least for now...). I turned to writing to try to knit up the stray yarns of a bi-coastal life. . .I found that writing about the two placed I've lived and loved is soothing to my soul. . . While I'm a history buff and love to collect (and write about) vintage postcards, I've also been a teacher, counselor, non-profit executive, and entrepreneur. But mostly, I am a champion of PERSONAL LIBERTY. I believe that we were meant for more than slogging away at a job, chained to a cubicle day after day, living for the weekend (unless, of course, that’s what lights up your soul). I believe we were all created to live a life of (responsible) freedom, and to be able to do life and business on our own terms. To that end, I help others create a life of freedom in my coaching business, where I help people package their expertise and get fully booked with ideal clients at premium rates — so they can take back their freedom and their life. While I mostly blog about history, I'll occasionally stray into the philosophical, blogging about simple living, life in a small Maine town, or how to cultivate a mindset of personal liberty. I'd be honored if you joined me on the journey! Feel free to look around a bit, and if you like what you see, click the button below to subscribe. 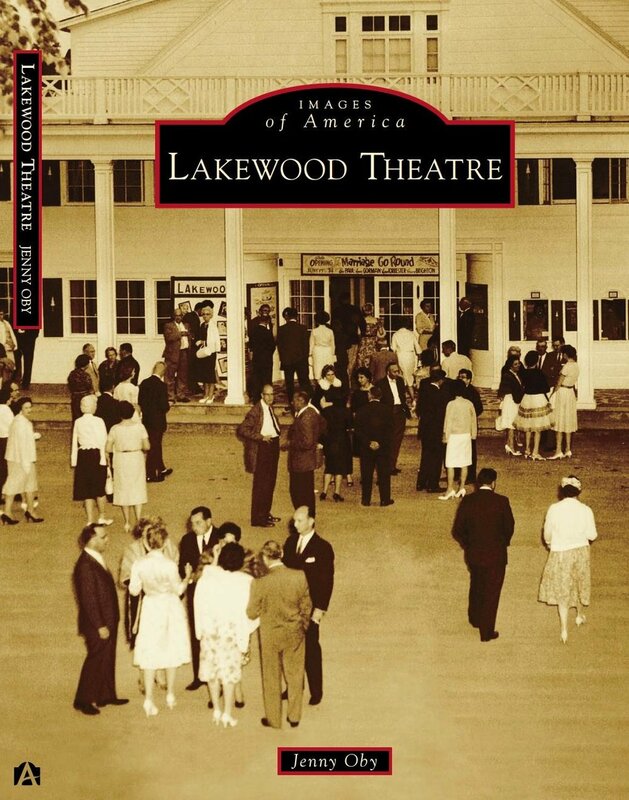 Published by Arcadia , Jenny Oby's hardcover book, Images of America: Lakewood Theatre, documents the theater's history (1895 - present) with more than 180 rare vintage images culled from the theater's archives. From its beginnings as a humble vaudeville hall at the end of a trolley line to its glorious heyday as "Broadway in Maine," Lakewood Theatre was the summer home to hundreds of stars, including Humphrey Bogart, Vincent Price, John Travolta, Betty White, and countless others. Operated today as a community theater, it is the country's oldest continuously running summer theater. For more details on each event, click on the calendar date or visit our Events page.